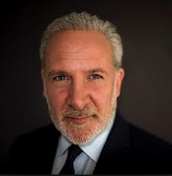 Peter Schiff On The Markets: Investing: Nothing Looks Attractive In The U.S. Topics: There are no attractive investments in the United States right now. The U.S. bond market is in a big bubble.